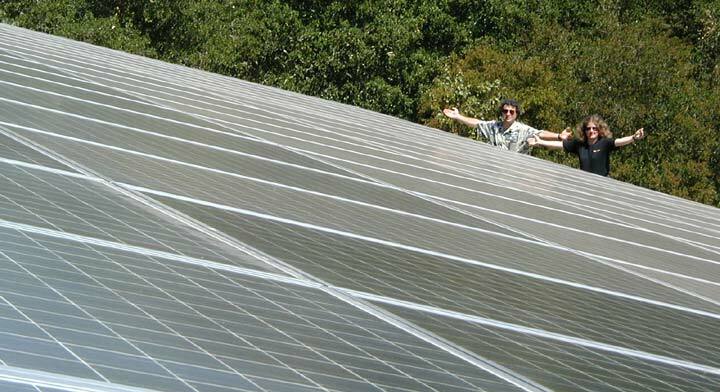 Welcome to the website of the Adelmans' photovoltaic system. At the time of construction, this system was rumored to be the largest residential photovoltaic system in California. I don't know if it is true, but with the new laws and subsidies encouraging photovoltaic systems, it certainly won't be for long! Our system has a 2,880 square foot array with a theoretical output of 30.5kW. 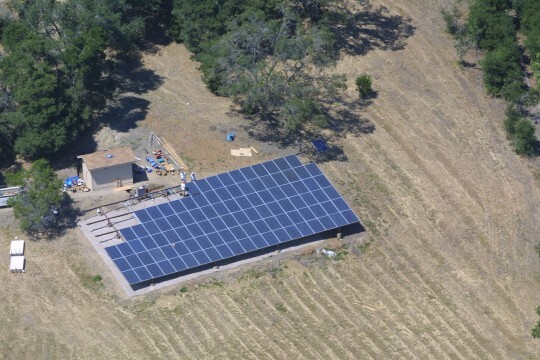 It was designed and constructed by the crew that now runs Full Circle Solar. 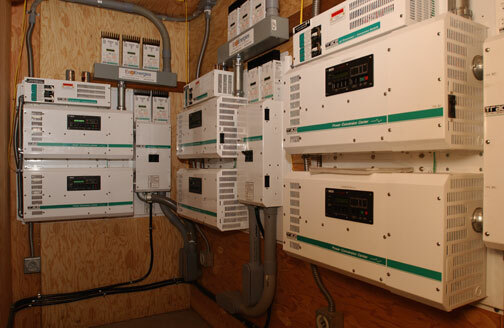 We use this system to power our four electric cars and our home. Our home is mostly electrical, and includes a pool, hot tub, and air conditioning. Prior to installing this system, we had a monthly electric bill (from Green Mountain Energy) of almost $1000. This system is net-metered during the day we "bank" our excess energy into the grid where it goes to power other people's homes and we receive a credit for it. At night, we draw this energy back and use it to charge our cars. Click on this picture for a photographic tour and technical description of the system. 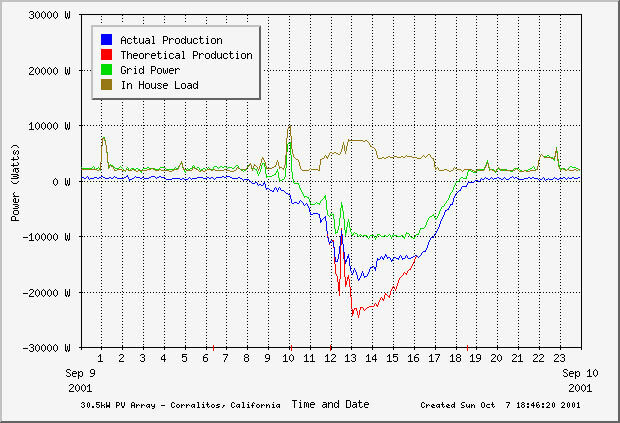 Click on this chart to see the current and historical power production status of the system.